Ride the Ducks: Holiday Lights Tour!! Looking for something fun and festive to do this holiday season?? 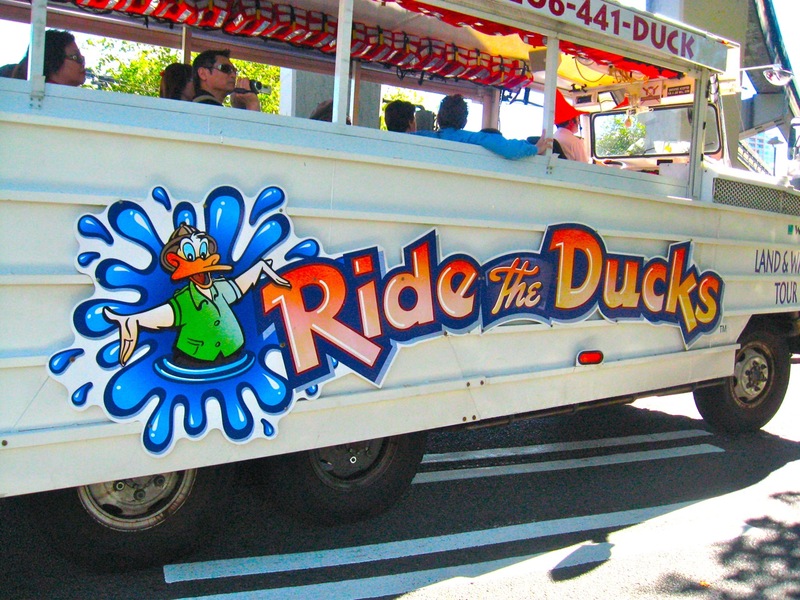 We recommend going on the Holiday Lights Tour with Ride the Ducks of Seattle! 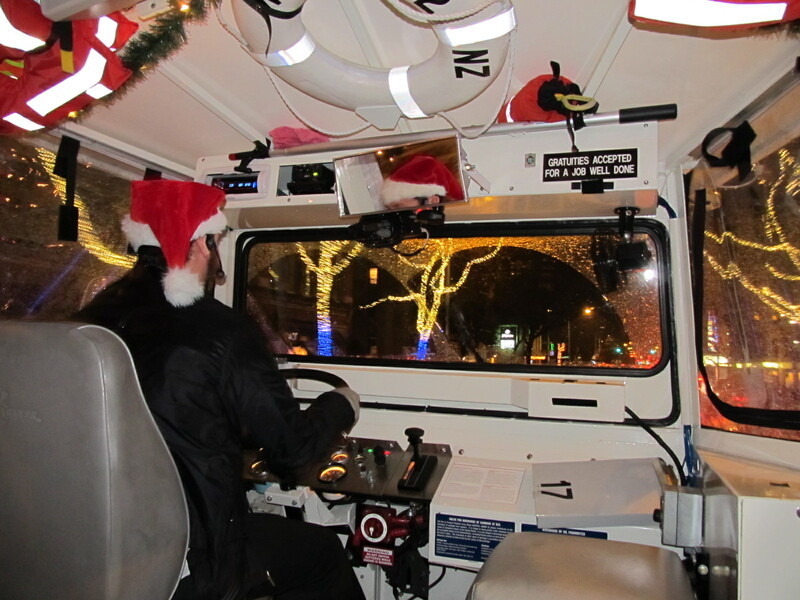 It’s a great way to see the beautiful Seattle city lights during the holiday season from their amphibious World War II vehicles. The 40 minute tour showcases light displays from Winterfest at Seattle Center, Westlake Center, Toyland Village at the Waterfront, Pike Place Market, and more! The Holiday Lights Tour is offered daily through December 30th. Tours depart from Westlake Park (4th Ave. & Pine St.) on the hour and are available Sunday-Thursday: 5-8pm, Friday & Saturday: 5-9pm! It’s recommended that you purchase your tickets online to reserve a spot! Ticket prices are VERY reasonable! $15 (plus tax) for adults, $5 (plus tax) for children (3-12), and FREE for children 2 and under! It’s a great way to see downtown Seattle and enjoy the holiday festivities! The view from inside the duck! This entry was posted on December 9, 2010 by Megan Ching. It was filed under Information, Upcoming Events and was tagged with Affordable activity, Christmas Lights, Downtown, family activity, Holiday Lights Tour, kid friendly, ride the ducks, Seattle, Seattle Center, winterfest.